So (as I mentioned here this past Wednesday), on June 16th, 2011 MildredLovesYou.com will be turning three! 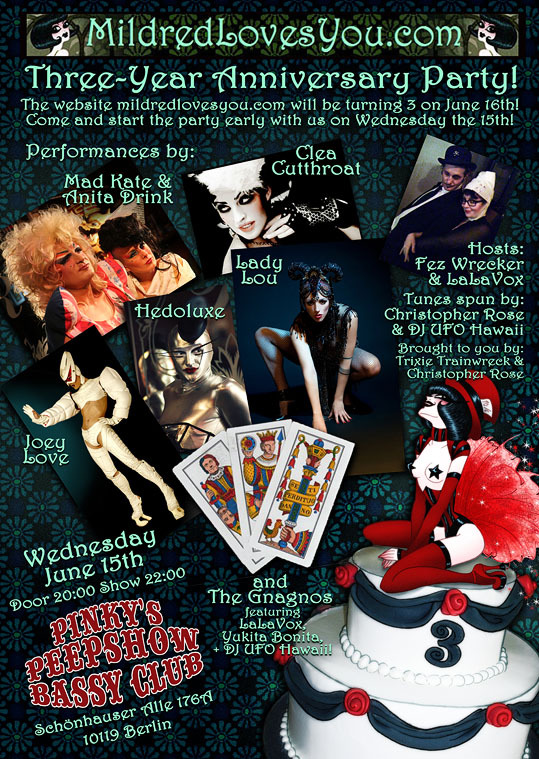 - although we have in the meantime decided to call it an anniversary rather than a birthday... ;) And we will be starting the party on the eve of this occasion by throwing a wild burlesque bash at Pinky's Peepshow here at the Bassy in Berlin on Wednesday the 15th! 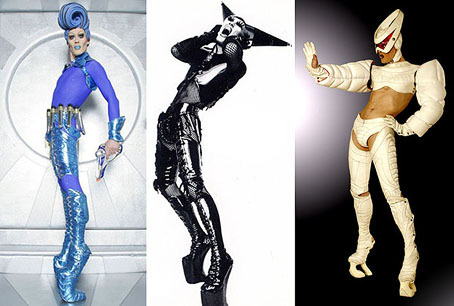 And here are some photos and links that will give you a closer look at our illustrious line-up of performers! MAD KATE and ANITA DRINK! Hedoluxe guest-starring in MildredLovesYou.com Pin-Up #32! Joey Love guest-starring in MildredLovesYou.com Pin-Up #34! Hosts: FEZ WRECKER and LALAVOX! Tune-Spinning by UFO HAWAII and CHRISTOPHER ROSE! UFO Hawaii, and Yukita Bonita! 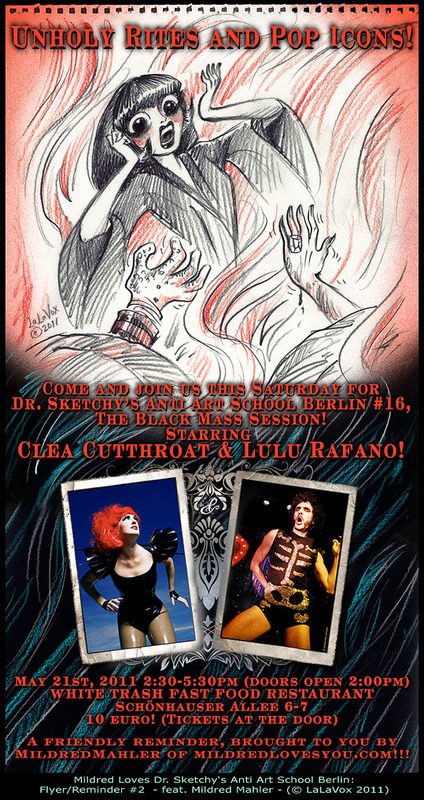 If you are within shouting distance of Berlin, Germany on June 15th, 2011 then JOIN US THERE!!!!!!!!! *Unfortunately the www.mildredlovesyou.com domain still remains offline to date, but the new alternative address is taking up the slack until things return to normal (and beyond too - for safety's sake). I am desperately hoping that this can be straightened out at last very, very soon - especially with our 3rd Anniversary just right around the corner!! !